There is an absolute slew of antique shops in Hong Kong appealing to both the casual browser and the serious collector. For the latter, you’ll find plenty of shops with specific specializations, either based on a period, such as Qing or the Five Dynasties, or, more popularly, around certain items, such as furniture or earthenware. For the generalist, there is an endless selection of inexpensive, smaller pieces. Below we’ve picked some favorite antique shops in Hong Kong. All of the shops below will be well set up for shipping, usually at their expense, to all corners of the world and a few will even have outlet stores in the US or UK. If you're buying something large ​make sure you're clear on who is going to be paying for the shipping. Address: 248 Prince’s Building, 10 Chater Road. MTR: Central. One of the oldest dealers in the business, Honeychurch Antiques has been wheeling and dealing up on Hollywood Road since the 60's. There is a solid selection here of fine Chinese porcelain, jewelry, and burial items from as early as the Han Dynasty. There are also antiques from Burma, Tibet and other further-flung regions of the map and the gallery is able to source specific requests from around Asia. One of Hong Kong’s biggest and most respected antique shops, Altfield Gallery is a multi-floor showroom for the best antiques from Asia, particularly, Vietnam, Thailand, and Burma. Alongside furniture and smaller jewelry ​pieces, there is an emphasis on porcelain and larger stone items. Prices vary from the affordable for a small traveling mah-jong set to lottery winner prices for giant Buddha heads. Address: 79 Wyndham Street. MTR: Central. Part of the furniture on Hong Kong’s antique scene, Tai Sing is one of the city's and the world’s leading dealers in Chinese antiques. With more than half a century of experience, this is a family business with an exhaustless knowledge of quality antiques and a stock room that is equally extensive. 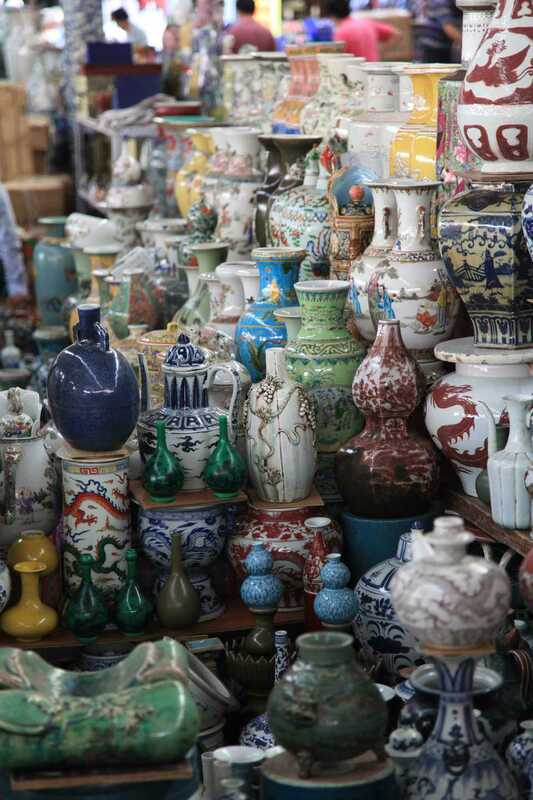 In their two shops, you’ll find jade, ceramics, furniture, clothing, and everything in between, running through all the major Chinese dynasties. An encyclopedic collection of photos, posters, paintings, and maps from old Hong Kong, China, and the near region, much of what Wattis does is unique but the collection of snaps and paintings from colonial-era Hong Kong are rare and a fantastic insight into the city’s past. Prices are not fun but they do have a very decent line in reproductions and the Hong Kong travel and advertising posters make a fine present. Address: 20 Hollywood Road. MTR: Central. What Markets Should You Visit in Hong Kong? Where Are the Best Neighborhoods for Shopping in Hong Kong? How to Shop 'Til You Drop in Central Hong Kong. When Are the Hong Kong Shopping Sales?